The Holiday Season is upon us, as well as an early winter. and will be remembered with warmth and a smile. And won't it be just fabulous! Good Spirits rich and sleek. Sent by God, your comradeship I love. My thanks are sent above. My thanks sent deeply to you. Rich and green for all to see. I give thanks – to Thee. Oh great and mighty Spirit, there comes a time when you seek to comprehend the true meaning of PEACE, and how you as an individual may find that peace, a peace which the world can neither give you nor take from you. This is one way. Visualize the blazing Star, still, and yet full of life and light. Identify yourself with the Star, with the center of that Star. Allow your energies to go into the still center of that Star. Within that center you will find that all the anxieties of material life, all the struggles that you encounter in daily life, will fall away from you. In the heart of the Star is deep, eternal peace, and within this peace you are united with those whom you love. On a daily basis give yourself time to enter this Star Temple, this calming scene. Go into it, away from the noise and turmoil and tumult, the fears and anxieties of the material plane. There, within the center of this Star, find divine, holy peace. Hear within your Soul the music of the heavenly spheres, the music of the Holy Word, the audible life stream which flows from the heart of the Creator. Be still now, within your mind and body. Listen inwardly. Beneath all sound, beneath all thought, in the deep silence at the heart of creation, you will hear the music and harmony of God. The sign of SAGITTARIUS is signified by the Archer or mythological Centaur and gives you cosmic relief after the ordeals of the intense Scorpio energies. An optimistic and enthusiastic demeanor sustains your one-pointed efforts and sparks a renewed sense of daring and adventure in the outside world. While your path can include sports, long-distance journeys, and philosophical inquiries, steer clear of the temptation to be a dilettante - an amateur in many fields but master of none. As you strive towards truth and wisdom, it is easy to see the universal picture but ignore practical details and then complain about hard work. The fires of this sagacious sign can entice you with illusions of greatness or turn your gaze towards clear, long-range aspirations. It is up to you to see each goal with precision, reach it, and be willing to go on to the next one. Sagittarians have more energy than you know what to do with as the energy planets come together in your sign this month, Sag. You are full of inspiration and eagerness to act, with opportunities opening to match your ideas. Others are as excited as you are about your vision and things to come, and they are willing to lend their support. You can work on your impatience levels by using your great sense of humor to laugh at circumstances, as well as yourself. Otherwise, you could end up taking your frustrations out on others and dampening their enthusiasm for your plans. With Jupiter now in it's own sign, Sagittarius, the plant of fortune brings you abundance and blessings throughout all of 2019. It begins now! Please remember that in your leadership role, it is up to you to do - to set the tone. Wunjo is the Rune of the fruit bearing branch and quite appropriate as we enter the months of Harvest. The term of travail is ended and you have come in to yourself in some regard. The shift that was due has occurred and now you can freely receive its blessings, whether they be in material gain, your emotional life or in a heightened sense of your own well-being. This is an alchemical moment in which understanding is transmuted from knowledge. The knowledge itself was a necessary but not sufficient condition. Now you can rejoice at having been carried across the gap by the Tao, the Holy Spirit. Joyousness accompanies new energy, energy blocked before now. Light pierces the clouds and touches the waters just as something lovely emerges from the depths. The Soul is illuminated from within at the meeting place of Heaven and Earth, the meeting of the waters. There is a new clarity, which may call for you to renounce existing plans, ambitions, goals. It is proper and timely that you submit, for Wunjo is a Rune of restoration causing the Self to become properly aligned with the Blessed Higher Self. Things may be slow in coming to fruition. The process of birth is long and arduous with fears for the safety of the child within. A crisis, a difficult passage, if ever so brief, may be at hand. Consideration and deliberation are called for, because light and shadow still exist and are intermixed so doubt and sarcasim may interfere with joyousness if this period is not understood as a timely process for your Soul growth. So stop your anxiety and ask yourself whether you possess the virtues of seriousness, sincerity and emptiness. To possess these virtues is to also have tranquility which is the path to clarity, patience and perserverance. Seen in the light of truth, the pathway of life is a test. Stay focused in the present, remaining sincere towards others, trusting your process, and you will know that you cannot fail. BLOODSTONE — The mineral aggregate heliotrope (from Greek ἥλιος, hḗlios “Sun”, τρέπειν, trépein “to turn”), also known as bloodstone, is a variety of jasper (which is a cryptocrystalline mixture of quartz). 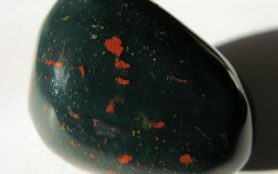 The "classic" bloodstone is green jasper (chalcedony) with red incclusions of hemitite.The red inclusions are supposed to resemble spots of blood, hence the name bloodstone. RUBY — Ruby’s metaphysical properties are astounding. This exquisite crystal emanates the pure Red ray with a vibrancy unsurpassed in the mineral kingdom. 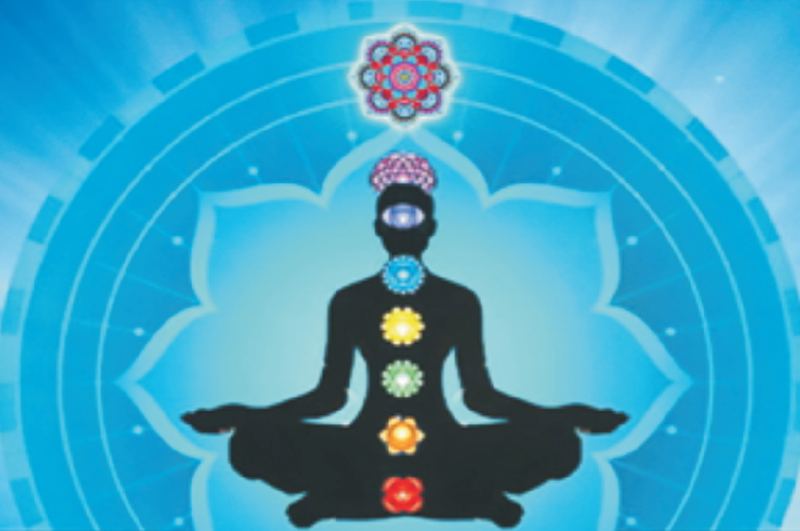 It actively stimulates the Base Chakra, increasing vitality and chi, the life-force energy, throughout the physical body and into the spirit. It promotes a clear mind, increased concentration and motivation, and brings a sense of power to the wearer, a self-confidence and determination that overcomes timidity and propels one toward prosperity and achievement. Ruby initiates the sensual pleasures of life. It stirs the blood and stimulates the heart and may be used to activate the kundalini. Ruby has always been associated with love, especially faithful passionate commitment and closeness. In ancient times Rubies were considered to be perfect wedding stones. Weave me a peaceful world. Spider wove the web that brought humans the first picture of the alphabet. The letters were part of the angles in her web. Deer asked Spider what she was weaving and why all the lines looked like symbols. Spider replied, "Why Deer, it is time for the Earth's children to learn to make records of their progress in their Earth Walk." Deer answered Spider, "But they already have pictures that show through symbols the stories of their experiences." "Yes," Spider said, "But the Earth's children are growing more complex, and their future generations will need to know more. The ones to come will not remember how to read the petro glyphs." So it was that Spider wove the first primordial alphabet, as she had woven the dream of the world that had become manifest. Spider's dream of the physical world had come to fruition millions of years before. 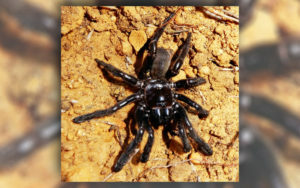 Spider's body is made like the number eight, consisting of two lobe parts connected at the waist, and eight legs. Spider is the symbol for the infinite possibilities of creation. 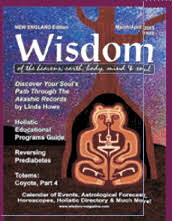 Her eight legs represent the four winds of change and the four directions on the medicine wheel. Spider weaves the webs of fate for those who get caught in her web and become her dinner. This is similar to humans who get caught in the web of illusion in the physical world, and never see beyond the horizon into the other dimensions. The web of fate also represents a wheel of life, which does not include any alternatives or solutions. It is typically human to get caught in the polarity of good or bad fortune without realizing that we can change it at any time. If we are not decisive enough about changing our lots in life, we may end up being consumed by our fears and limitations. Spider is the female energy of the creative force that weaves the beautiful designs of life. Her web had hundreds of intricate patterns which catch the morning dew. Spider has dropped in during the month of December and the Sagittarian energies of 2018. She may be telling you to create, create, create! Look for new alternatives for your present impasse. She can also be warning you that you are coming into an entangling situation. Spider could be asking you to use a journal to write out and review your progress. If you do this, you will not forget how you are creating a new or different phase in your life. Spider brings a message of a different kind when she sees you becoming a bit too involved in the weaving of your life plans to notice opportunities at the outskirts of your web. If this is the case, Spider gets your attention so that you notice something you have woven or created has borne fruit. Congratulations! Spider caught you just in time, before you missed the opportunity at the edge of your web or reality. The most important message from Spider is that you are an infinite being who will continue to weave patterns of life and living throughout time. When enduring hard times, do not fail to see the expansiveness of the eternal plan! This has always been the section for Healing Requests. Through the power of group prayers, healing take place spontaneously. You can be of help to many others, as well as your loved ones, with one minute of silence at 7:30 pm EST every Sunday evening anywhere in the world. With a prayer for the recovery of health, universal energy is sent out to any and all who send in their prayer request. What is needed is the name and birth date of the ill person, along with a diagnosis, if possible. What are you asking to be lifted? When you place your request in the Healing Circle of Light—located in our Prayer Room; know that as soon as you make your Prayer request and Healing request, you will begin to see positive results! The December 6th New Moon in Sagittarius brings a heaping amount of faith, hope, and optimism. The December 22nd Full Moon in Cancer brings a bounty of love and harmony as the Winter Solstice comes to a close. Light a candle, give pause, and give gratitude for all of the experiences of 2018. Time to review and renew your focus and plans for the upcoming 2019. FOCUS: I embrace the new, release the old, and will not be afraid to go where the Universe leads me. December brings up pleasant childhood memories and a time for sharing the past. Clear the decks and forgive the past. You have many stimulating and fabulous times ahead. December brings parties and good social connections after the 6th. If you’re looking for the perfect holiday gift for someone special, close your eyes and ask, “What would make them smile?” A lover from your past may show up just in time for New Years Eve. December brings the season for fun and sharing. Shop for gifts after the 16th and put some thought into the process. Show your loved ones that you’ve been listening. On New Year’s Eve you and a partner put your heads together for a private and blissful evening. Happy 2019! December brings love and tenderness. Expect your emotions to be heightened in a very big way. It doesn’t get any better than this. On New Year’s Eve your mission is to make the first move. Go ahead. You won’t regret it! December brings a Holiday Season to remember. Clear your schedule as much as you can because opportunities to travel and play abound. New Year’s Eve brings the opportunity to make a complete new start, in one way or another. 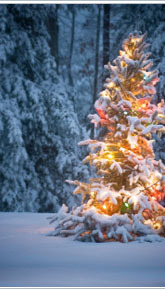 December brings the warmth of the Holiday Season; big hugs, wonderful memories, and great pictures. Who is the person you choose to spend your time with on New Year’s Eve? It’s a big night and the right company is essential. No matter who it is, this night will be remembered. December brings someone from far away back in your life.. You’ll want to spend lots of time together. Be thoughtful and creative rather than extravagant at Holiday time. Remember, it’s the thought that counts. December brings the season to be jolly. Invite your friends and neighbors over for some holiday cheer. There’s something about the Holidays that brings out the best in everyone. On New Year’s Eve, choose a dream to come true, then go for it. Get busy Scorp. December can unveil some of your secrets, so prepare yourself. If you have been holding back your feelings about someone special, well, put your money where your mouth is. You’re feeling generous over the Holidays, but do go overboard and not think about the future. Enjoy your friends on New Year’s Eve. December brings an emotional reunion with a long-lost loved one. If you’ve been at odds in the past, it’s time to reach out and put an end to the separation. Honor your emotions and save some sighs for the happy, comfortable feelings you’ll enjoy on New Year’s Eve. December brings some crazy, fun-loving friends and parties. The volume is turned up on all your encounters, urging you to forget all about work and responsibilities. It's time to entertain and be entertained. Happy Holidays Aquarius. December and the Holidays look to be easygoing and comfortable. Christmas Eve brings a time for gatherings with family and loved ones. Avoid getting into arguments and just go with the flow. New Year’s Eve is a warm and cozy time. Focus on what you would like 2019 to bring to you.